We’ve Got Our First Logo! 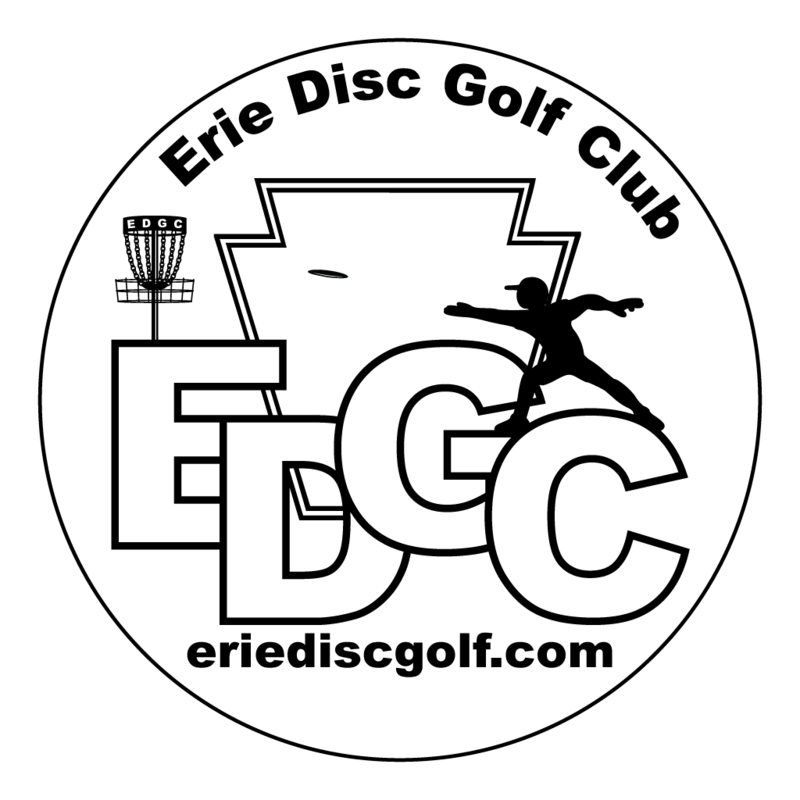 Over the Thanksgiving break, we spent some time working on a logo for the Erie Disc Golf Club. It’s shown here in the Black and White version. Let us know what you think! Previous (attempted) designs included the Flagship Niagara, the Bicentennial Tower, and a map or outline of either Presque Isle or Erie County itself. This version includes all vector artwork so it can be scaled pretty well (including the basket). This version should scale well, and there are plenty of areas that can be colorized should we ever feel the need. This entry was posted in General by Erik J. Barzeski. Bookmark the permalink. I really like the logo!! Great job! !